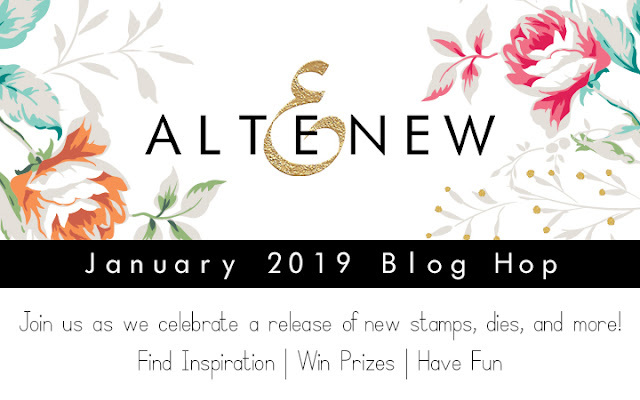 Welcome to the Altenew January 2019 Stamp/Die/Stencil release blog hop + Giveaway, you must be arriving from Nicole Picadura's blog. 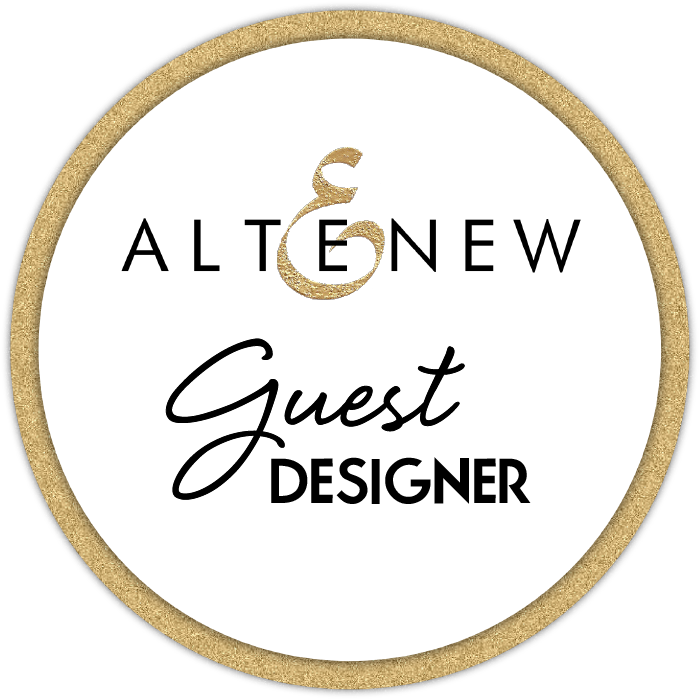 Today I am very excited to be taking part of this blog hop as i love Altenew products and the new releases are beyond amazing. 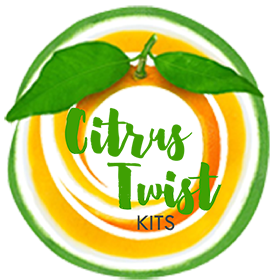 There is so much to chose from in this release, so i created quite a bit of projects to showcase a few of the new products. Let's get started. I love how the layout came together so easily with just a few products. 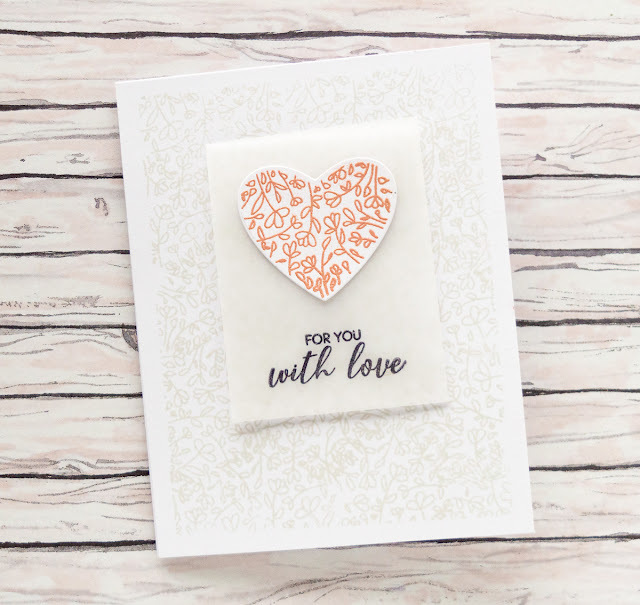 Really love the new Floral Heart Frame die, but since we are talking hearts, this new release also features the Magnolia Heart Stamp and Die set, which looks a lot like the Floral Heart Frame die but in a smaller format, perfect to create a card! First i used Altenew's Limestone crisp ink to stamp the heart continuously on the background - i used a small heart mask to help me fill the entire background-. While the ink set on the background, i embossed the image of the Magnolia Heart stamp with rose gold powder, and cut it using the coordinating die. The sentiment on the stamp set was then added to a small piece of vellum with black ink; here i glued the heart, and then trimmed the vellum to size. The vellum was then attached to the background using glue dots. Just love the stamp and die set, and it was so easy to put this card together. For the first one, i used gold embossed the Stained Glass window and cut it with the coordinating die. To detail the die cut, I used the Altenew Alcohol markers -set E-, and a bit of Lagoon Metallic Ink Spray. I attached the window to the middle of the card ( i had stamped a few images with gold ink) with some foam adhesive, followed by the sentiment. 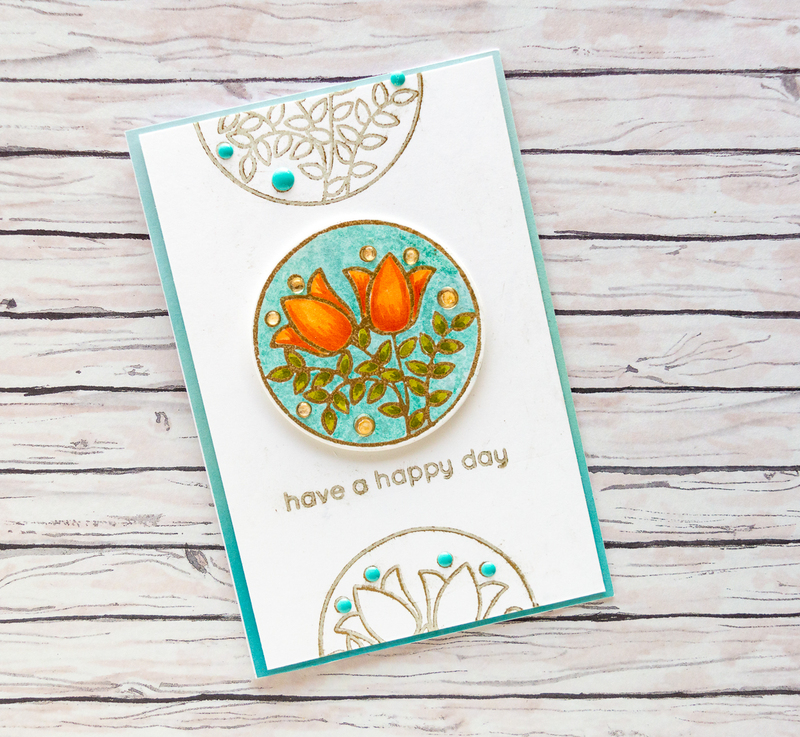 A few enamel dots - from Altenew- and jewels complete the card... Love how the card turned out, that i decided to recreate the look this time by embossing the Stained Glass Window image with Snow White powder and then using Altenew's Metallic Ink Sprays to detail the flowers. 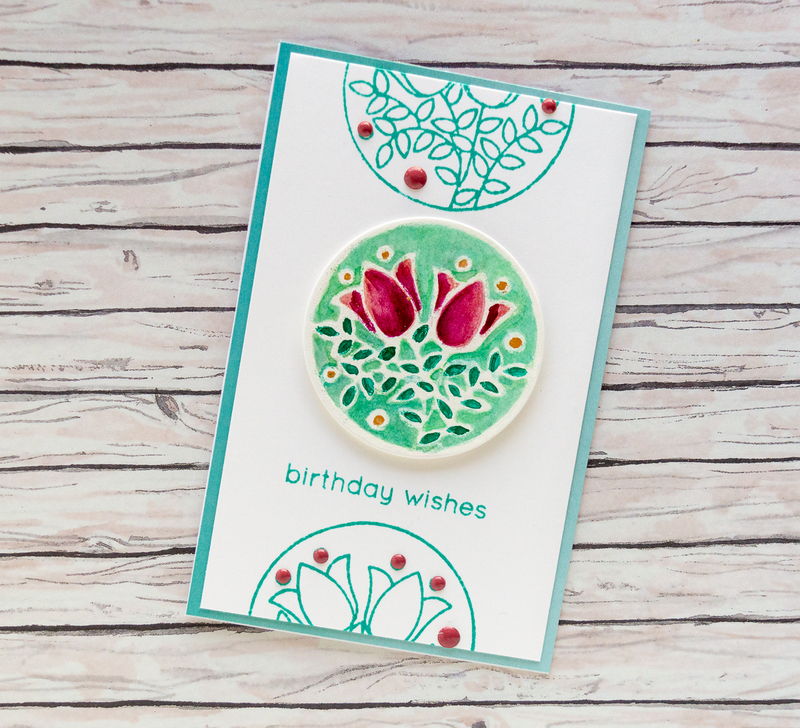 This time i used Altenew's Lagoon Crisp Ink to stamp the circles, and added enamel dots from also from Altenew to complete the card. Such similar yet diverse looks for cards using the Stained Glass Window image and a bit of Altenew mixed media products. Since we are still talking cards, then let me show you just a quick idea for the Snail Mail Stamp and Die set. I love dimension, and the small envelopes were the perfect way to create this color envelope cascade on the card. 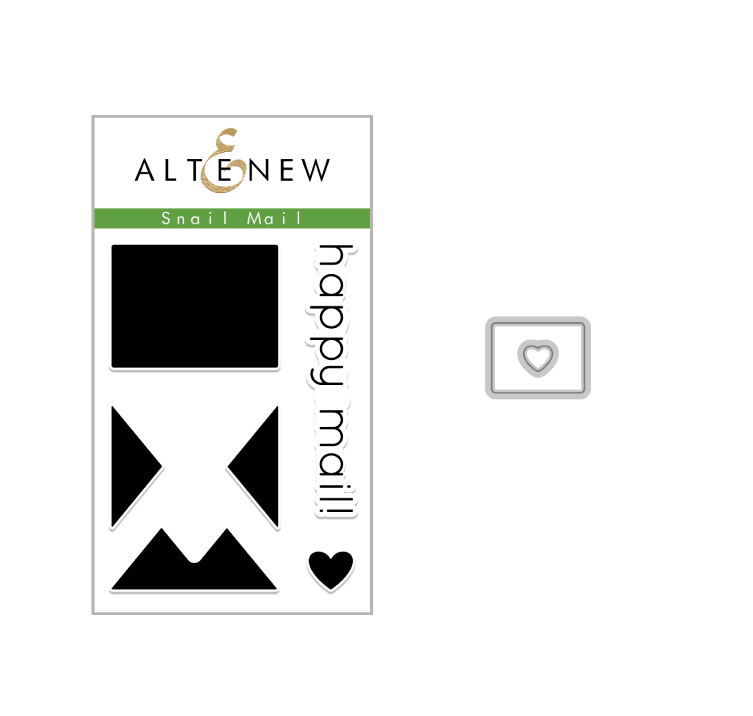 I used Altenew's Crisp Inks to create the envelopes, and then used the die set to cut the envelopes and hearts. 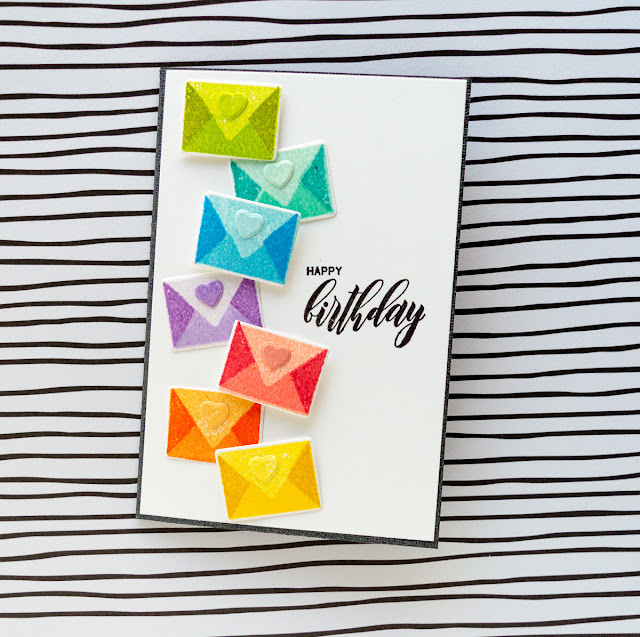 Before adding them to the front card panel, I used the Wispy Begonia stamp set to add the sentiment, and then used foam adhesive to create the rainbow envelope cascade. Love how easy it was to put together, and such a cheery and fun card to brighten any birthday. Well, now i want to show you how i used one of the new Zodiac Constellation Die to create this page in my personal Journal (Traveller's Notebook). 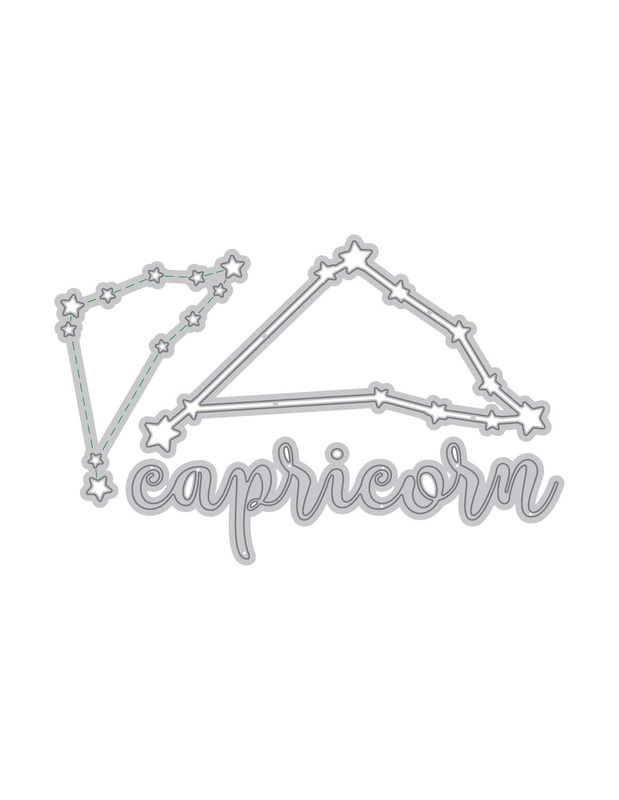 I was so grateful Altenew added this to my box, especially since both my kids are Capricorn babies. For this i used the die to cut the word Capricorm and the small constellation on the one side of the paper. I used gold vellum to back the paper, and then glued it to the Traveller's Notebook. I used the constellation dies to cut more stars, and used the decorate the page with my kids pictures in it. To finish, I embossed sentiments from the Simple Flowers stamp set to finish my title. Here is another project created for my Family Album (the small format album comes from Citrus Twist Kits) and the WIld Rose 3D die set. 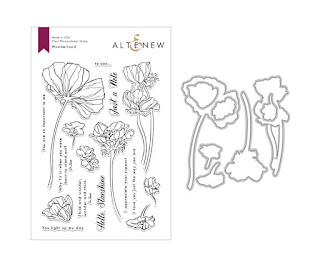 I love Altenew's 3D dies, and the Wild Rose one is simple to put together in a very small amount of time. The flowers are so colorful and bold that i added them outside of the page protector to bring their 3D format to live. Here is another page of my family album. For this page i used the new Beautiful Blooms stamp set. The large stamp is so versatile, and i chose to use it to create the patterned paper for this page. The image was stamped continuosly to fill the entire length of the page ( the ends of the stamp match!). Giveaway CLOSED... Thank you all for the lovely comments, it has been a pleasure reading each one of them. Jordanbev5@yahoo.com .... please email winner@altenew.com with the subject line Altenew January 2019 Stamp/Die/Stencil Release Blog Hop Winner from Nathalie DeSousa's Blog by 2/15/2019. It is time to continue the blog hop and be inspired. Your next stop is Sveta Fotinia's blog. For your convenience here is a list of all the participants. Remember you can always come back here or check the Altenew Card Blog and /or Altenew Scrapbook Blog to continue the hop. Thank you for visiting and good luck ! So many beautiful projects, wow I adore your work! You really show how many uses there are for these products. Thanks for sharing. They are lovely. Natalie, just beautiful thank you for sharing with us. Your layouts are beautiful and so is your family album! Love the journal and album ideas. When I comment on creative blogs like this, I usually pick my favorite piece to review but I love all of your creations so much, I can't pick just one. Wonderful work! Your designs are amazing!! Each card and layout have such amazing details to look at! Every one of your projects is beautiful and inspired; there seems to be no end to your creativity! Amazing projects! Wonderland is among my top picks, though I am still drawn to the constellations, and I'm a Capricorn too, so I love that page! 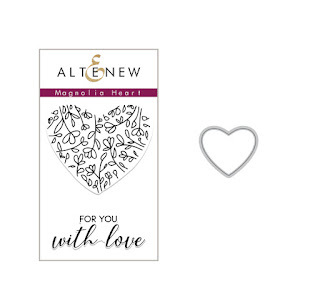 Oh I love your Magnolia Heart card, so very pretty Nathalie! The inspiration from your blog is amazing. Thanks for giving us some beautiful and great ideas that we can incorporate into our designs. Fabulous layouts and cards! So creative and lovely!! Absolutely beautiful page. I'm not a scrapbooker but your techniques and arrangements and ideas are totally transferable to so much else. You show such delicacy in all of your designs here. What a wonderful find! Your layout and family album and cards, beautiful! I love everything in this new release. Thank you so much for sharing, and inspiring!! I really like the way you stamped the heart background on the card. Great idea! Thank you! Your "With Love" card is truly beautiful; what a wonderful design. Love your scrapbook pages as well. The snail mail stamp set is adorable! Beautiful layouts, Nathalie! I'm loving the zodiac traveller's notebook! Wow - you made some fabulous projects. I love your layouts, especially in the smaller journal, and the cards are gorgeous! So many incredible and beautiful projects!! 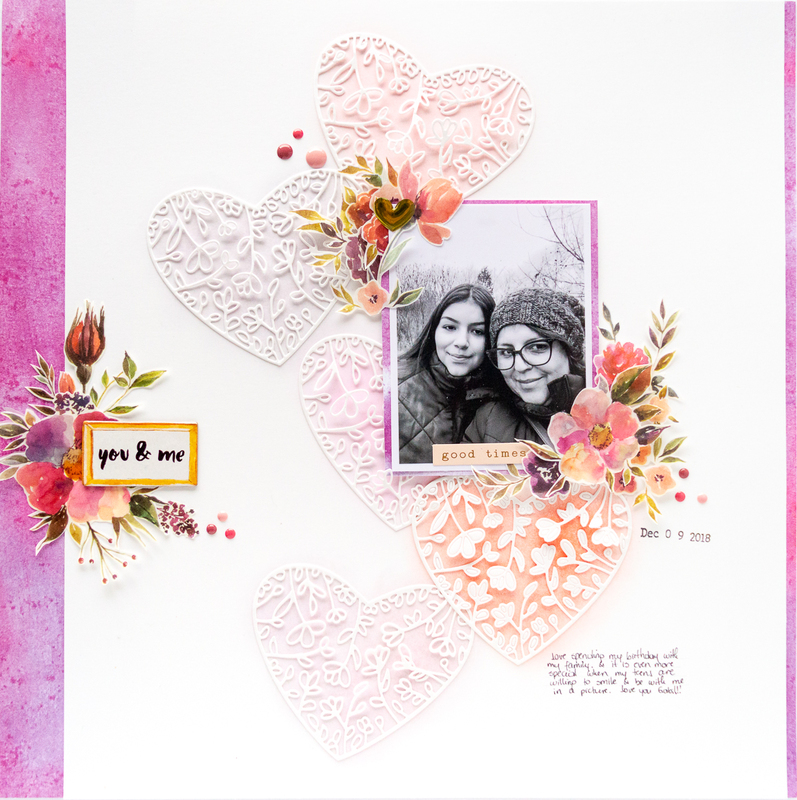 I especially like your layout using the Floral Heart Frame Die. It's so sweet! I don't scrapbook but your beautiful scrapbook page blew me away. Simple, gorgeous. Thank you. Wow, your layouts are just stunning! I didn't realize those flowers were so large until you used them on a page like that. Every time I think I have enough flower stamp sets, along comes a release like this one! Thanks for your wonderful projects. I think the Garden Picks die set is my favorite. Really great projects! Lots of inspiration! I'm impressed. Great work. Loving this release. Thanks so much for sharing your art. Thank you for all your inspiration. I am a technique junkie and love trying out your ideas. Love what you did with the Wonderland Stamp and vellum backed washi. Brilliant! Thanks Nathalie. Your layouts are spectacular! And the CAS of your cards is just amazing! I love the colors! Nathalie your LOs are stunning, love all the projects you have shared! I cannot wait to try out a few of the techniques you shared today, thanks for the inspiration! You've got some super precious layouts here and I love what you did with the hearts, but my favorite is the one with the 3d flowers!! Your first layout is so sweet...all of them are great. I love the journal pages too! Your inspiration shows through and is beautiful to see! Beautiful work!!!!!!! Everything was so beautiful! Thank you so much for sharing your lovely work. I love all of your beautiful projects! So much fantastic inspiration! Thank you! WOW! So much to admire in your work. The layout with the heart dies is gorgeous! This is a great hop. So many wonderful new products. All of your samples are wonderful. So great to see this new release used in so many pretty projects. 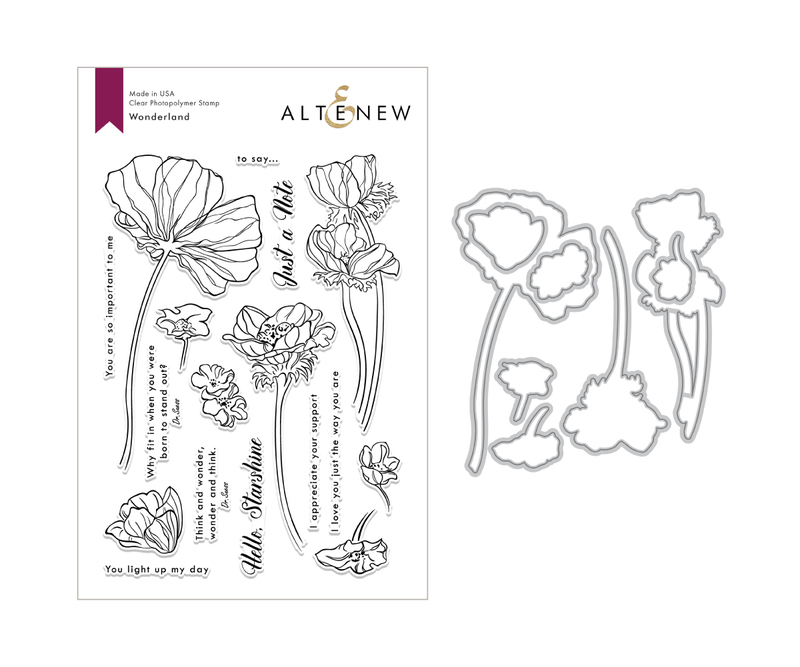 The way the Beautiful Blossoms can be used to create a continuous design is a superb idea... hope Altenew makes more stamps like this. 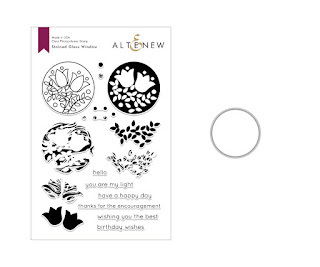 Love this new release from Altenew and your creations are just fabulous! I loved your colorful ideas! Thanks for the inspiration and sharing your techniques with us! Such beautiful layouts,cards and other projects! Very pretty! I love the magnolia heart stamp and the delicate die. Both are gorgeous! Beautiful projects Especially love your layouts! Beautiful scrapbook pages, cards and journal/planner pages! I love the vibrant colors, and especially love the delicate heart die, so elegant. Your work is awesome! I love your family album pages, and that last layout with the video was really amazing to watch as you pulled it together. So helpful for me to see your process and why you are doing things. Beautiful! I am totally loving this newest release....it is breaking my bank for sure this month!! Hi Nathalie! I loved, loved, loved seeing all the different applications for the new release...layouts, traveler's journal and cards! Wow :) Thanks for sharing the inspiration!!! I just love the variety of your projects. 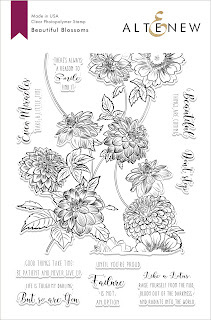 They are wonderful, my favorites are the last two, just gorgeous use of these new florals! Your projects are beautiful! I love the layouts and journal pages. I always enjoy seeing how products can be used to make things other than cards. Thanks for the inspiration. Beautiful cards and layouts, love all the flowers, hearts and wonderful designs! Nathalie, beautiful cards! I'm so in love with the 3D dies!!! 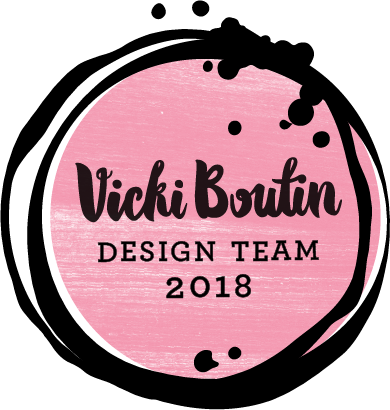 I truly appreciated all the work you put into your designs for this blog hop. You used so much of the new Altenew product line and everything is beautiful. Your scrapbook layouts are terrific. The journaling examples are fascinating and your cards are gorgeous. Thanks for the inspiration. So many gorgeous projects Nathalie! They are all so beautiful yet so very different.Thanks so much for sharing and inspiring us! Every project here is exceptional. I don't do scrapbooks, but these are truly impressive. You could change my mind about that!!! Wow! I can not believe all that you created.... They are ALL amazing! I love the birthday card with the Happy Mail image in multiple colors. The cards, the journal, the layouts, oh my! They are all fabulous, just like this awesome release. Such a variety of beautiful ideas. Awesome Release! 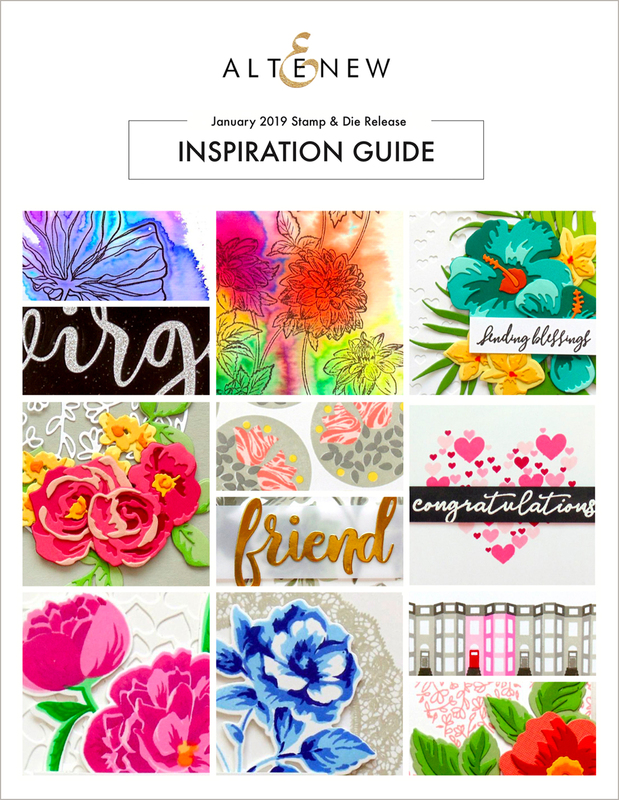 Great projects, I especially love the Floral Heart Die cut card! So many wonderful cards, layouts, and family album page! All your layouts and cards are beautiful. My favorite is your second stained glass card. I just love the colors you used! Whoa, so many wonderful different products and inspiration pieces - fabulous! Love how versatile your work is! Wow. Your notebook pages are just beautiful. Your hearts are so pretty! A project more beautiful than the other. Colorful and elegant style. Love it! You made so many fantastic projects! Really love them all. wonderful creations with all the new products - love your "cherish" layout! Love the look of these in your journal and scrapbook. I am lost in using dies and stamps in those. 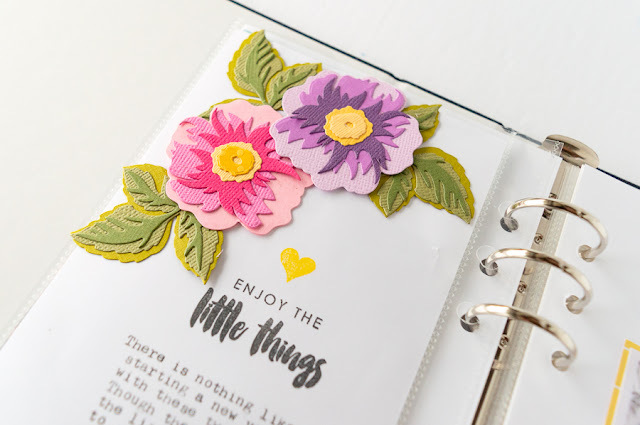 I love your page with the Floral Heart die cuts. Each heart has it's own color, soft and pretty. Awesome projects!! Love how you showcased these lovely stamps and dies! I love scrapbooking and I LOVE your scrapbook pages! 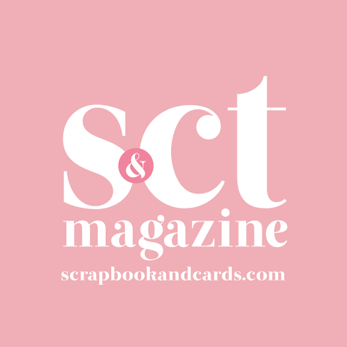 All of your cards, scrapbooking layouts, and family album layouts are wonderful! I think I might try doing a family album that way as well. Thank you for the inspiration! Your projects are all so gorgeous, Nathalie! Each one is so beautiful and inspiring. I especially love the layouts. I love what you've done with the Snail Mail Stamp and Die set. I love the beaautiful blossoms stamp set. It is unique and pretty. Awesome projects, thanks for sharing, so much inspiration! No shortage of inspiration in this post! I especially like your layouts. Fabulous projects! Love all your different designs! Wow! These are all amazing! There is so much crafty goodness here! Wow beautiful pages and layouts. 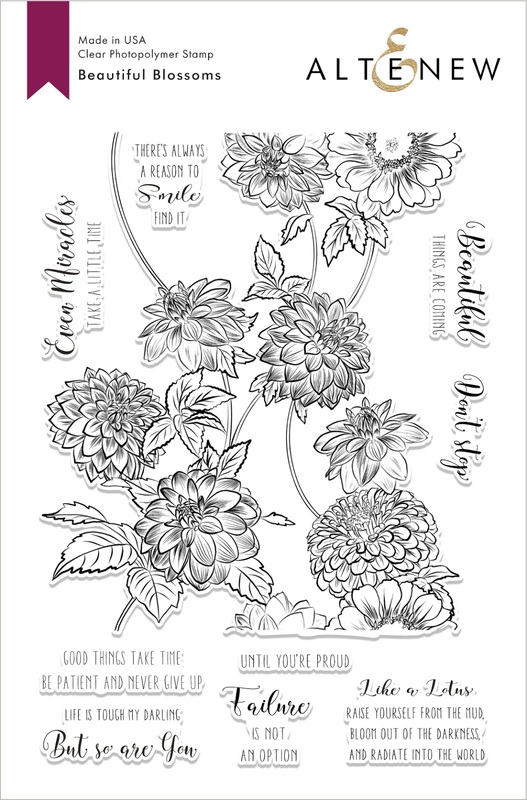 A really wonderful way to use flower stamps in scrapbooking. Sometimes I feel like we buy the pre made product to get quick. I was so amazed at how you used the stamps. Thank you so much for sharing your talent. Wow, Nathalie!!! Your work is amazing and loved the journal pages the best!! You inspire me! 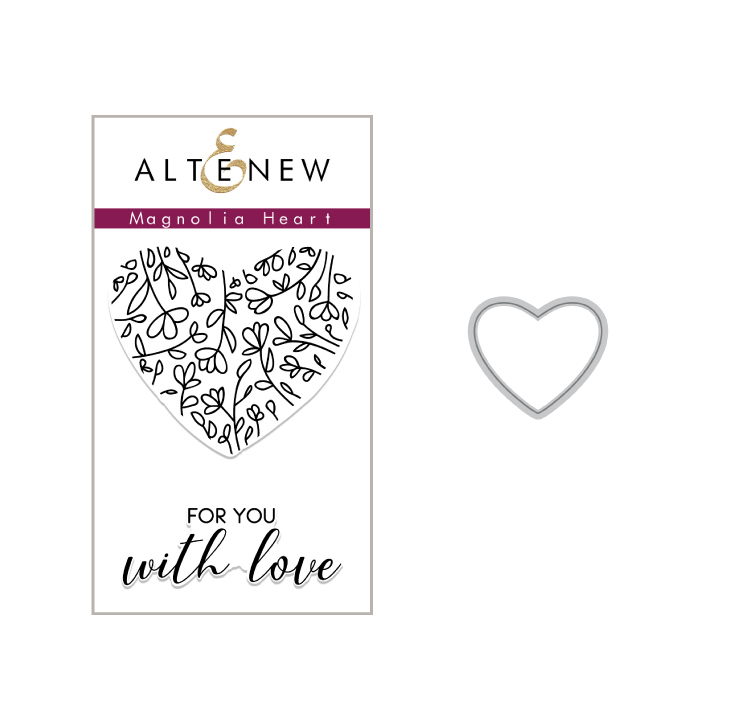 hi, You are the winner of the $30 gift certificate to Altenew. 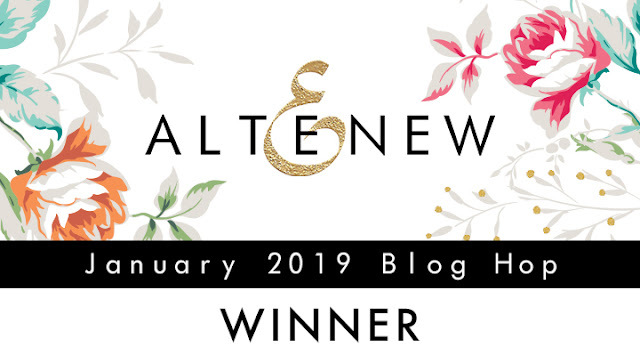 PLease email winner@altenew.com by 2/15/2019 with the subject line Altenew January 2019 Stamp/Die/Stencil Release Blog Hop Winner from Nathalie DeSousa's blog. Wow--lots of wonderful projects. Love the colors. Beautiful projects! 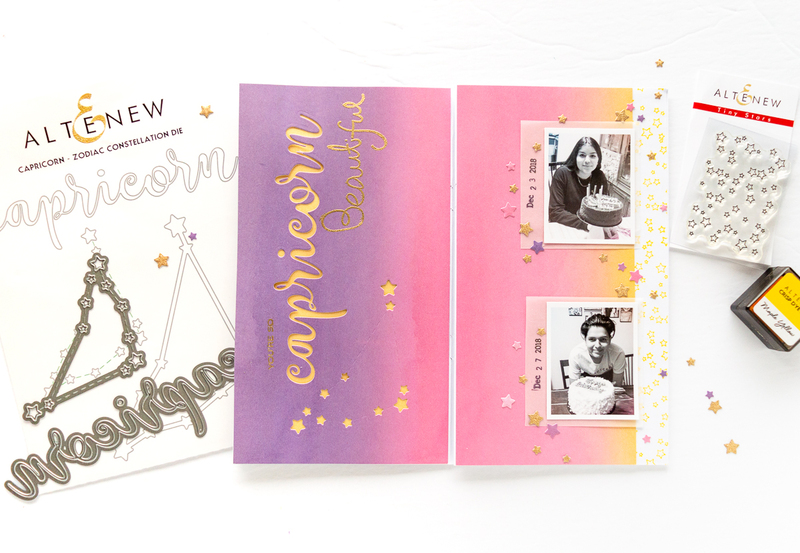 I love the cards and journal pages, and your layout is lovely! The Floral Heart Frame Die is a favorite from this release! Have to have it! Your projects are all spectacular!! You are very talented and your work shows it!! Thank you for all the inspiration!! So many beautiful examples of how to use the amazing products from this new release! Thank you for sharing your talent. Oh WOW, I love the layouts and the card. My favorite is your first card with the heart and continuous background. So pretty!!!! Oh your scrapbook page is breathtaking. I love the beautiful colors and the hearts on white paper. The flowers have the 3d effect as if they can be picked off the page. Thank you for the inspiration. the stained glass stamp is so sweet! great creations! Gorgeous projects. I love the delicate Floral Heart die. Another amazing release from Altenew. 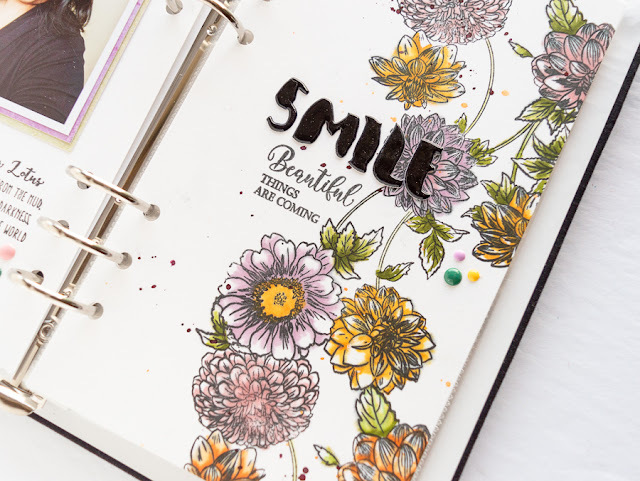 Your creative use of the Floral Heart die set has definitely locked that into my wish list! Your pages are so beautiful! Thank you for sharing. Wow!! You've been very busy lol!! All your cards, layouts, and journals are just beautiful!! All are beautiful! I especially like the use of the Stained Glass bundle! Absolutely love all your projects! So many gorgeous projects on one page! Wonderful projects - I love the mix you’ve included! Such a great range of cards and layouts with these new products. Thanks for sharing this inspiration with these fun products and the process video. What a wonderful mix of ideas, color design, and inspiration!! And your photos on your scrapbook layout are so sweet!! 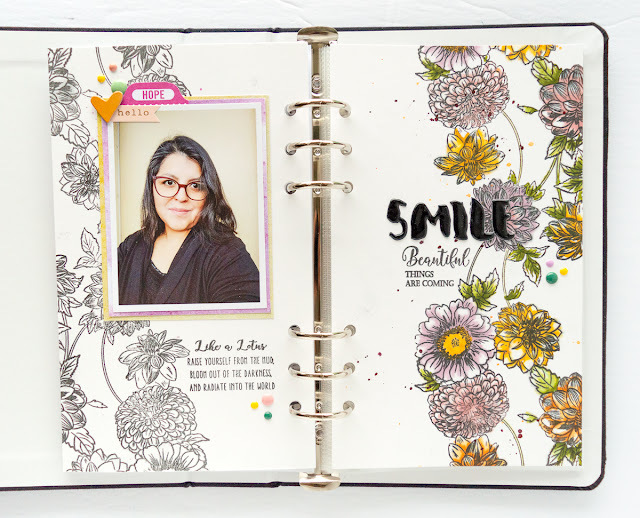 All of your projects are beautiful, but your layout featuring Floral Frames is stunning!!! Love the soft background of that die on your page. Thanks so much for sharing all of your projects--you are a very talented papercrafter. Everything came out so beautifully! I kept saying, that's my favorite, no that's my favorite, no that one is! They're all my favorite! Thanks for sharing! Your work is always so detailed and beautiful.I love the way you create layers on your layout and cards!All your projects from this release are just drop dead gorgeous !!! All of your projects today are gorgeous! Thank you also for the video.....super fun blog hop!!! Wow! Everything is so beautiful. I really love the stained glass and the delicate floral hearts. Lovely layout! TFS! Wow! Lots of great projects! But that first layout is amazing. Love the hearts and all the beautiful colors. Thanks for sharing! I'm a big fan of the Stained Glass stamp set, so I was particularly happy to see the cards you made with that. Also, your little one is utterly adorable. What a great layout that is. Thanks for sharing! Nathalie, your creations are just gorgeous! 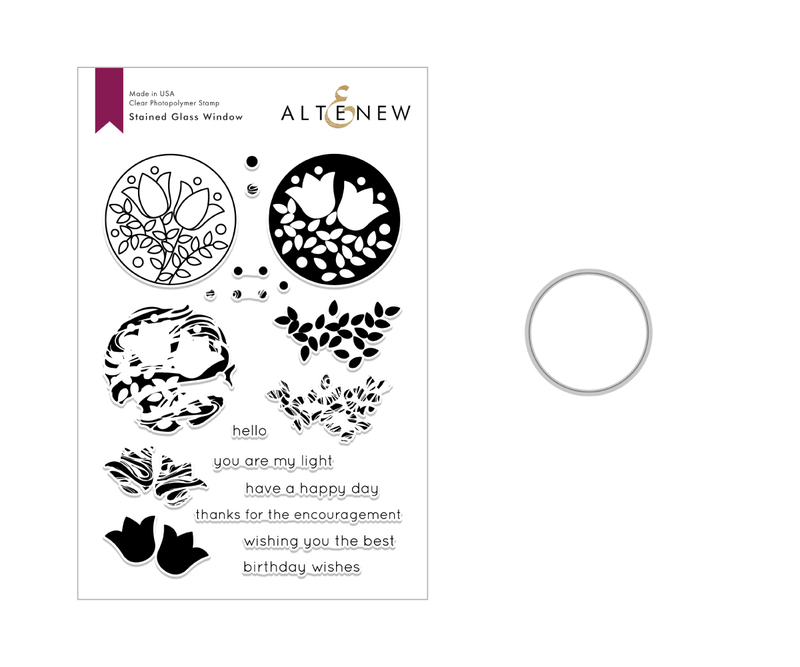 Your work shows how versatile the new January Altenew release is, and how many gorgeous things you can create! I love your zodiac piece. So fun and creative. Gorgeous works of art! Thank you for sharing your skills! Love your projects, so pretty! Absolutely gorgeous work! What an AMAZING collection of projects. Looks like you had a lot of fun creating with the new release! All of your projects are lovely, but I was so impressed with your scrapbook layouts. 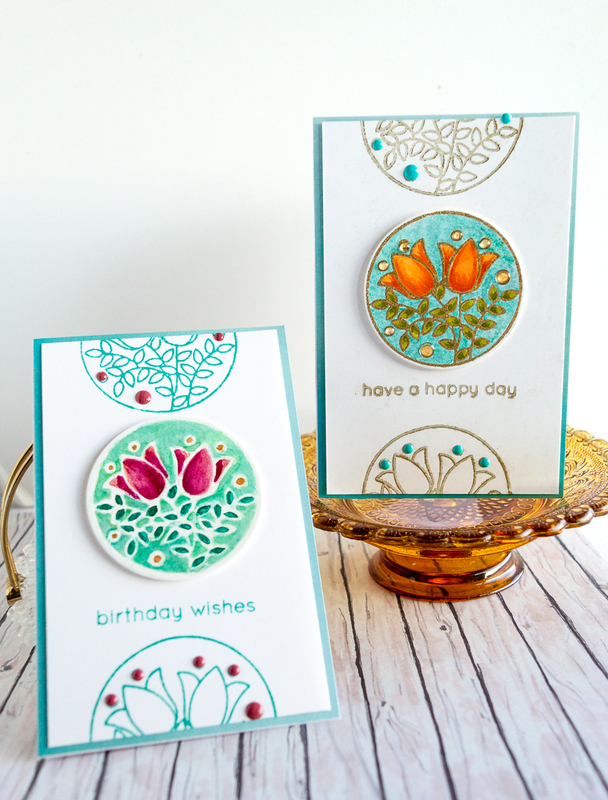 I love the mixture of stamps and die cuts, as well as all the dimension and beautiful colors. Thanks for sharing the videos! Love all these projects! The first layout is my favorite. I also have a teenage daughter, and your project touched me in many ways. Thanks for sharing! 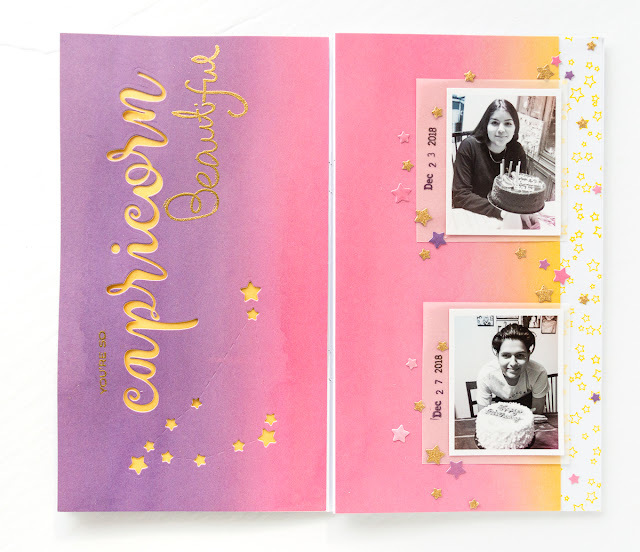 Fabulous layouts & awesome cards!! My wish list is soooo full! You are such an inspiration. Thank you!! Your projects are Gorgeous! The cards are elegant and the layouts are so beautiful. Really Thank you for this amazing inspiration. Your cards and layouts are pretty. They made me smile. 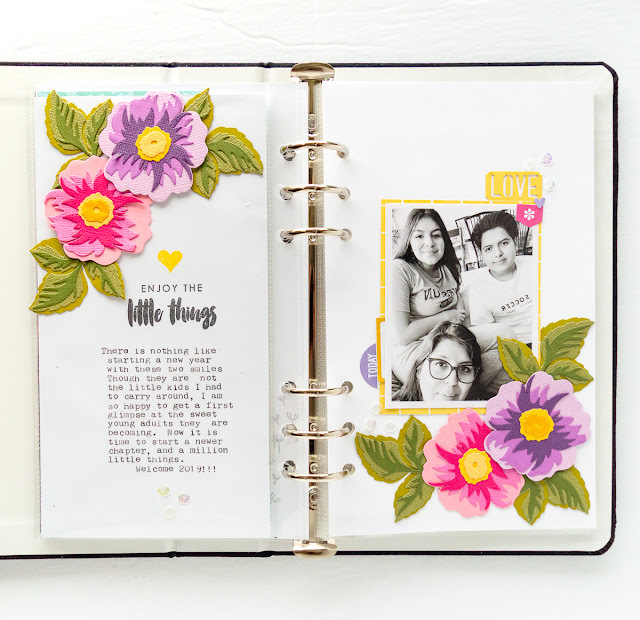 My favorite is family album page using Beautiful Blossoms....love it. Nathalie DeSousa. Simple theme. Theme images by Ollustrator. Powered by Blogger.